Our wonderful friends Matt & Anna had us over for dinner last Saturday night! We had such a great time! She made us Italian pot roast, home made bread, and mashed potatoes and a DELICIOUS apple pie for dessert! We visited and played Phase 10. 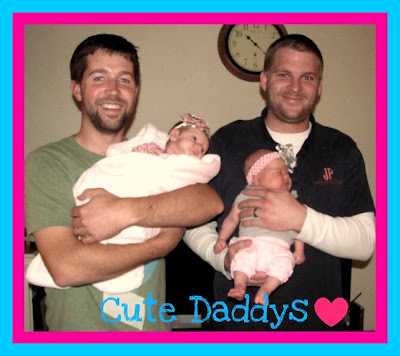 Since we always take pictures of us and the girls, we thought we'd switch it up and do a "daddy photo". The boys both said "This is gay" but did it anyway :) So cute, aren't they!!!??? There are lots of things I want to do in my life. Lots of goals and dreams I endeavor to accomplish. Places I'd love to see and things I'd die to do. Here are a few! 26.) Snowboard....never have! I know, crazy! I had my 6 week check up on Monday morning! Everything looked great :) I got cleared for "you know what" and working out!! yay!! So excited to get in shape and lose weight!! I need to lose 25 more pounds to get to my "GOAL" weight!! 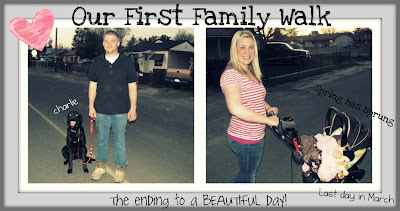 Thank God for my jogging stroller :) I have lost 26 pounds since birth...I was FULL of fluid!! I am going to start taking a LOW dose pill for birth control at least for a year :) Thankful everything looks to be healed!! 5 weeks! Holy cow!! Does time really have to go this fast!? 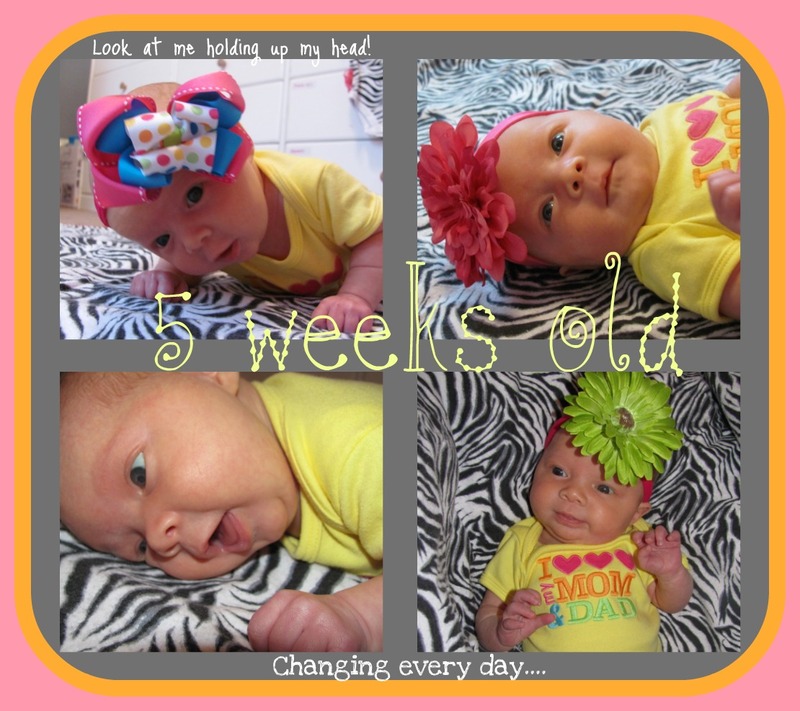 She is changing and getting bigger and more alert EVERYDAY!! She is starting to lift her head up so much on the ground and our chest! She is starting to smile at my voice! I love it!! It's so precious!! We are getting on a schedule which is very nice. Going 3-3.5 hours in between feedings day and night. I love her so much!!!! 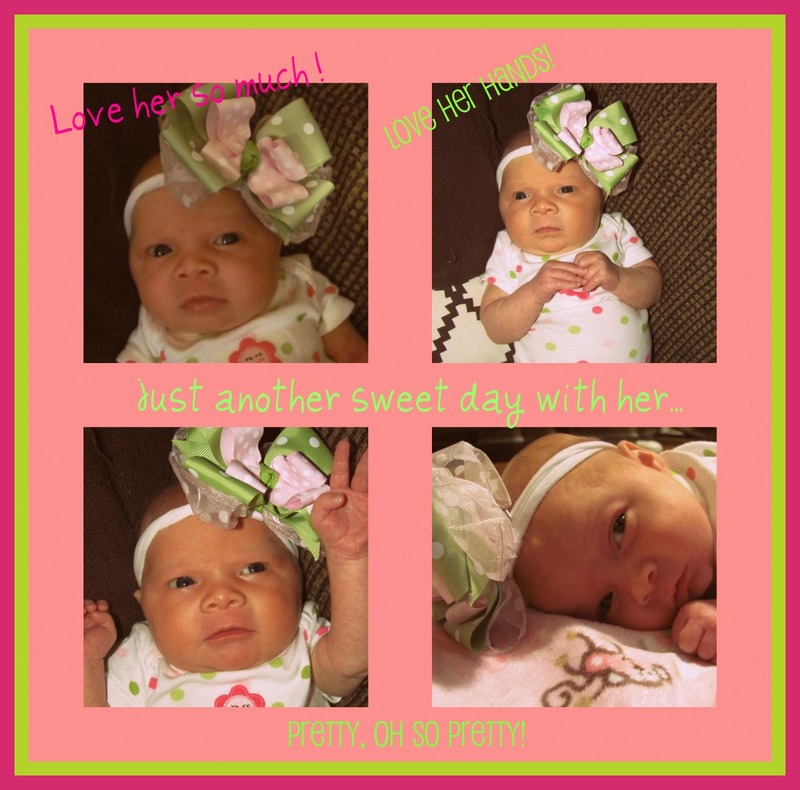 On this rainy and very windy day, Tynlee & I decided to have a little photoshoot :) Gorgeous, isn't she?? As I sit her and watch you sleep at 1 month and 4 days old, I can't help but smile. 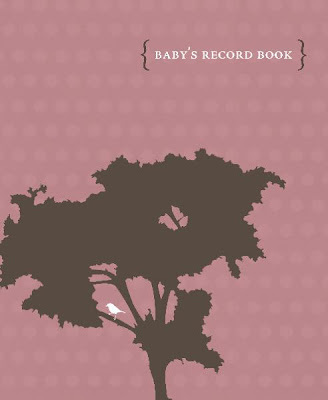 When I found out I was pregnant with you, July 7th 2010, after a camping trip in Dardenelles, I was nervous. I didn't want to lose you. I prayed to the Lord to please let this baby "stick" but ultimately wanted His will and plan to be done. I stare at you and tears feel my eyes. You literally TAKE MY BREATH AWAY. Your beauty, your grunting :), your adorable hands that are always open and moving, your crossed ankles, your flared nostrils, your super platinum hair, big blue eyes, precious heart shaped lips, chubby cheeks, and double chin. Finding out you were a GIRL was more than I could have ever wanted. I just knew you were a "boy". I expected a boy. My family pops out boys left and right. Having a girl was too good to be true. But praise God, cuz at 16 weeks, you indeed were a girl and it was the most memorable day in my pregnancy with you. Watching your daddy's face when she told us, was priceless. He was hoping for a boy to carry on his name but when they said "GIRL", I saw his eyes fill up with tears and he couldn't have been happier and you have been around his little finger ever since. I was so sick with you. 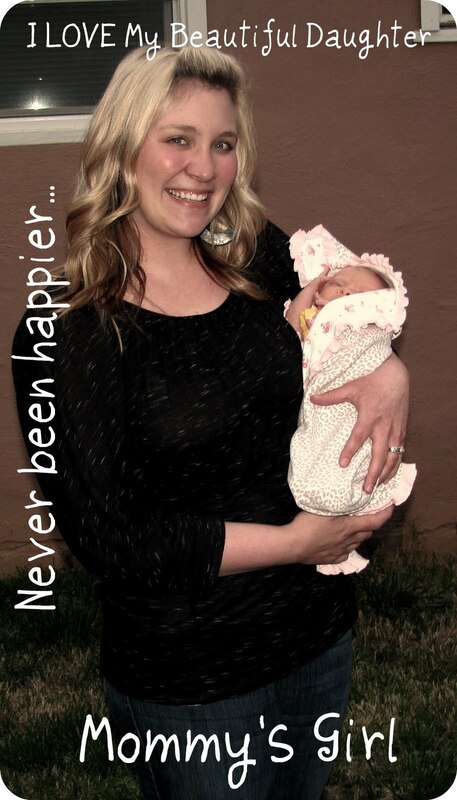 Whether it was the nausea till 31 weeks or the preeclampsia from then on, you were SO worth it! I'd do it all over again!!!!! 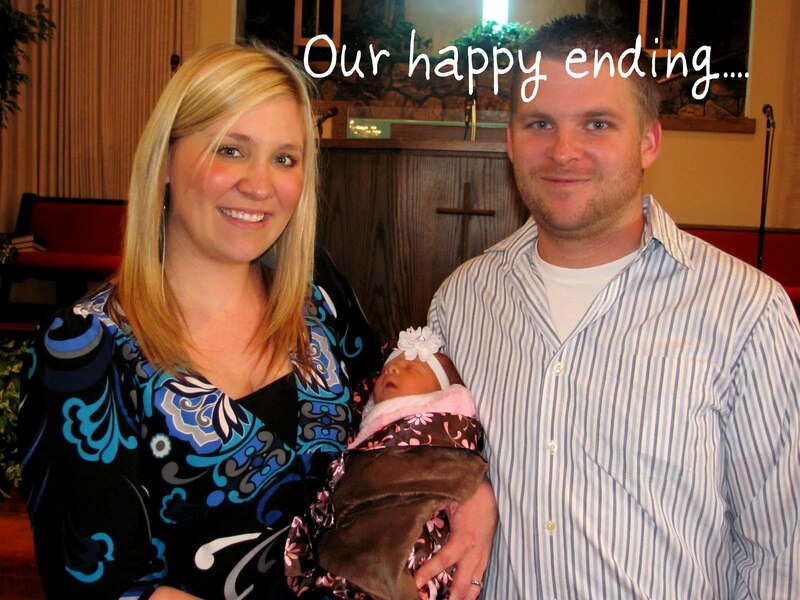 Even though our birth plan didn't go as planned, it couldn't have gone more perfect. Except for the part of you being taken from me right after birth. It all worked out amazing but that was the HARDEST thing I ever had to do, see you and daddy leave the hospital without me. After all we'd gone through together, I knew we could do it. God would deliver us and He did. You are tough. I can already tell. You are strong. You are a fighter. Definitely a Porter girl :) Mommy gets so much joy out of you. I knew motherhood would be wonderful but this is over the top. Way better than I imagined it to be. I always wanted you. I carried a doll around till I was 12. That doll was YOU. My future baby. You are perfect. The best baby I could have ever imagined. God TRULY blessed us with you. I couldn't have asked for better! Your very special. I praise God everyday for you. I pray for you constantly, for your protection, your health, and even for your future husband and the woman you will one day become. I pray you grow up to be a woman of God, accepting Christ at a young age and living your life for Him all the days of your life. God made an angel, a beautiful BEAUTIFUL gift. Thank you for always making mommy smile. You are my sunshine, my only sunshine. As you wrap your little hand around my finger, tears fall from my cheeks because I still feel like I'm in a dream and I can't believe your really mine and I get the PRIVILEGE of raising you. I love you Tynlee Anne. Don't grow up too fast. Stay little. 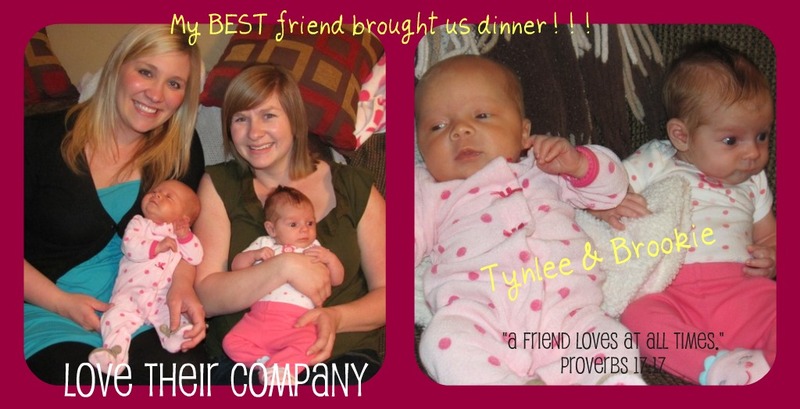 Our wonderful friends Matt, Annalisa & Brooklynne brought us dinner tonight! She made homemade pizza! And for dessert brownies and icecream with whipped cream :) yummy!! We have so much fun hanging out with them. 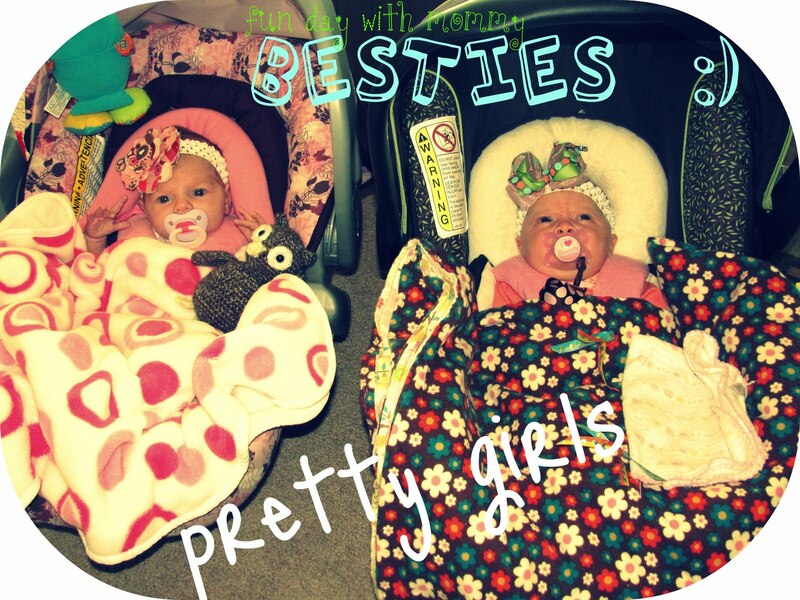 We have so much to chat about espcially since our little girls are so close in age! It's so great going through this with her! I couldn't ask for a better friend. She is great! I love how we always have a great time together and I love how I can go to her for Godly wisdom and advice. She is a fabulous woman and I am so thankful for her and the Lord putting them in our lives. 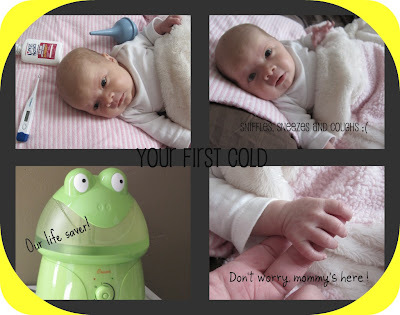 My precious little girl has a head cold. I feel like such a terrible mom. I've done really good about not exposing her to lots of people, pretty much just going to church and one shopping trip! But when mommy has a cold, it's kinda hard not to expose her. So thanks to me, she has a cold. I feel so helpless and just want her to be over it. I'm doing everything I can! She even took a bath/shower with me last night. Poor baby! I hate seeing her like this! 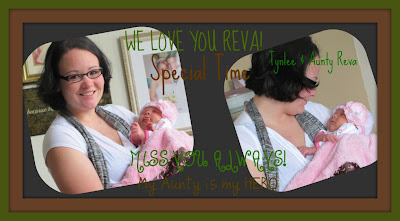 Tynlee's Aunt Reva is in the Army. She was in Afghanistan and was able to come home for the weekend on a surprise visit! What a wonderful surprise it was indeed! We were all so excited to see her. She is now back in Washington on base. Tynlee enjoyed cuddles with Aunty. :) We love you Reva and can't wait to see you again! *The first 3-4 nights at home were rough in the sense of her jaundice. It was terribly hard to wake her up to feed. And I was SUPER nervous cuz I knew she obviously needed to eat to get rid of the jaundice so she could poo it out! *She wouldn't wake up in the middle of the night if I didn't wake her so every 1.5-2 hours, i'd try to wake her to eat and that took about an hour so I pretty much got no sleep, but I'm not complaining! It paid off!! 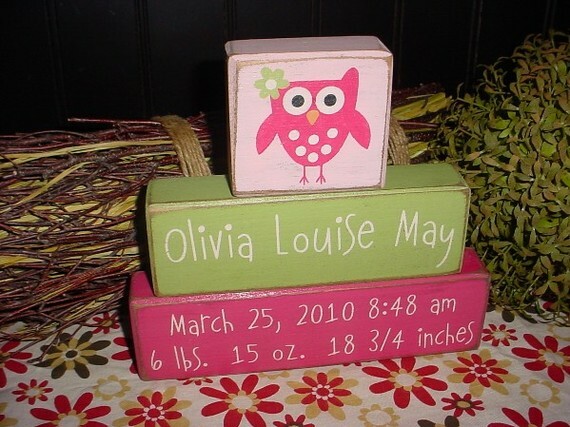 *Her first doctor's appt was with Dr. Hunt the morning after we brought her home from hospital. They wanted to check her jaundice and weight. Her jaundice wasn't getting worse and her weight was 5 lbs 3 oz which was only 2 oz lost since birth!! And she didn't even eat for 3 days at hospital, just IV electrolytes! AMAZING!! 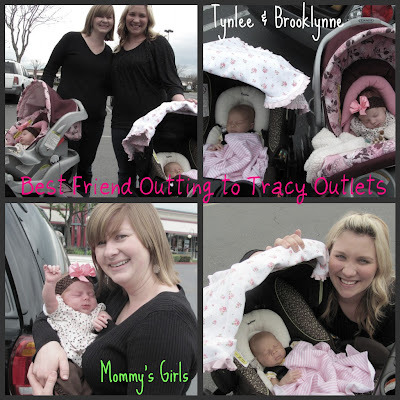 *We had to go to Babies R Us afterwards and get her some Preemie clothes that fit! *She sure does fill up a lot of diapers during the day, which is a GOOD thing!! *She smiles so much when she sleeps, it's precious! 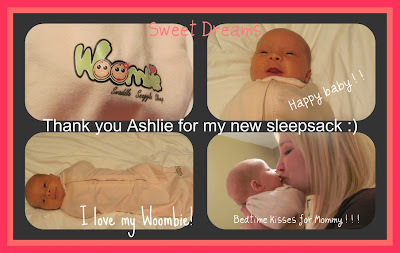 *She sleeps in a bassinet in our bedroom at night and does very well! She usually eats @ 12:30am, 3:30am, & 7:30am. So she does good at night I think!! 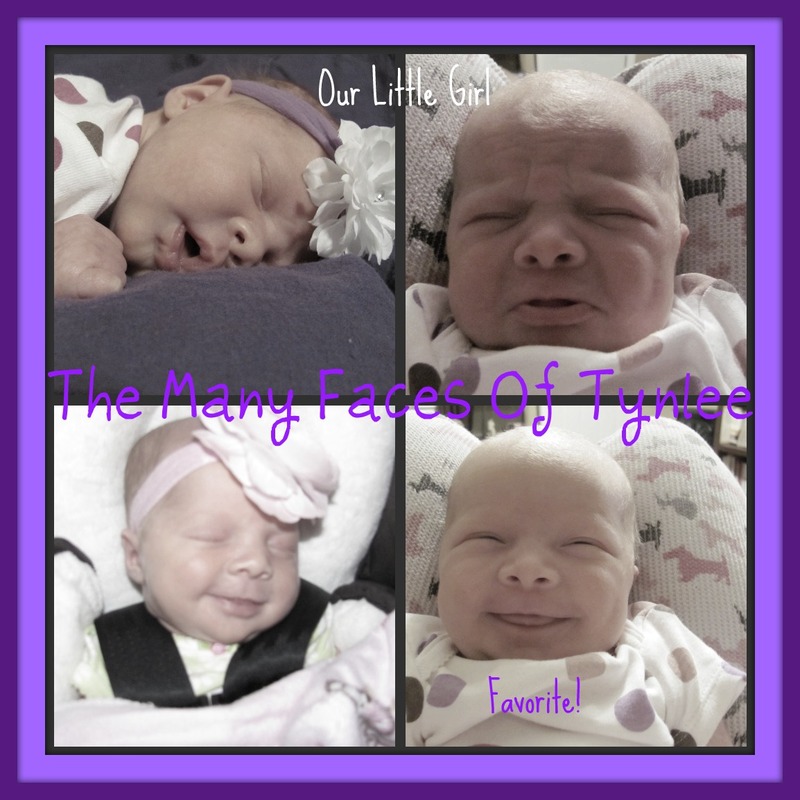 *Tynlee almost always has her hands by her face! She loves them!!!! *We had one semi-tough night with gas and tummy aches because of something mommy ate. I felt so bad! *We had a follow up appt at Stanford with Dr. Koltai which went GREAT! *She went to her first basketball game of Papa's but they lost :( bummer! *She falls asleep everytime I put her in the car. So glad she likes the car! 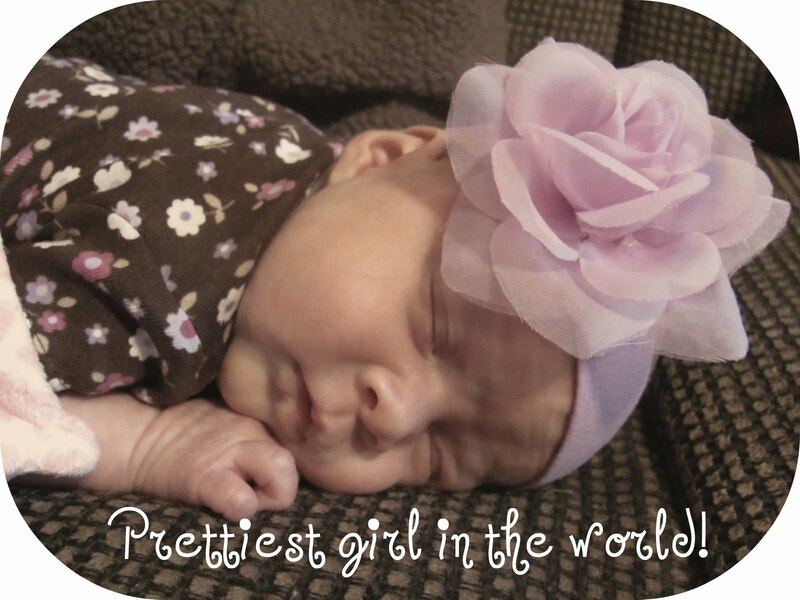 *She has her newborn pictures done by Kyley Gray! Beyond adorable! Kyley did a WONDERFUL job!! I LOVE HER TO PIECES!! How did I get so blessed!!?? 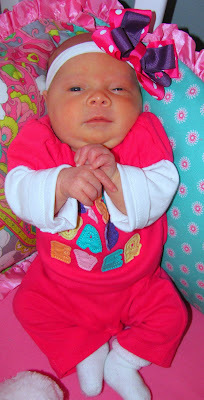 Today, March 18th, was Tynlee Anne's due date! 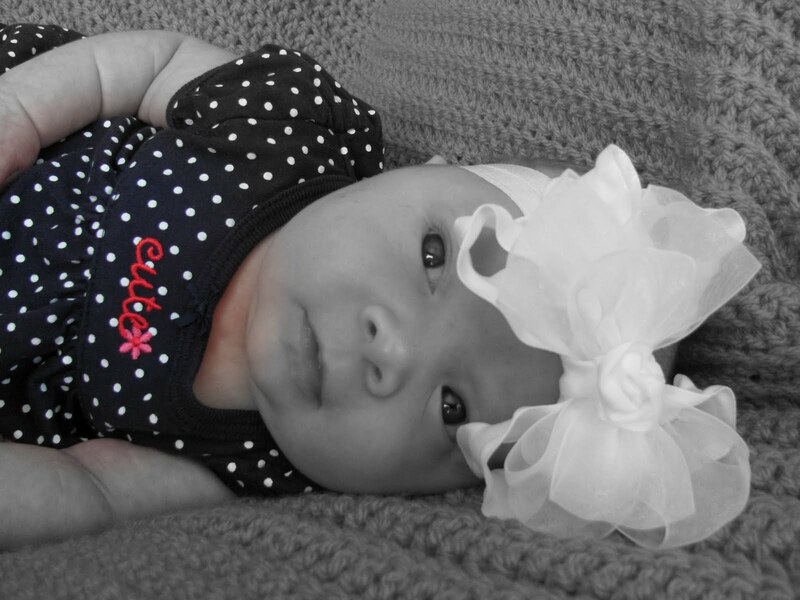 I am so glad she came early cuz she has been such an added blessing to our lives and family! She brings us great joy everyday! 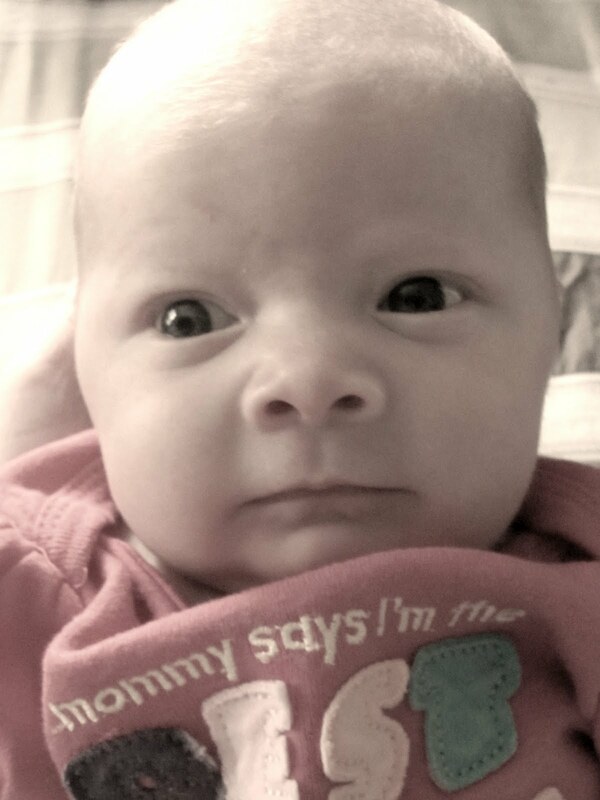 Can't believe tomorrow she will be one month old!! 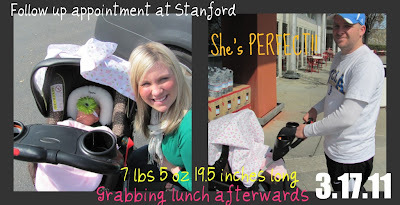 We took a trip back to Stanford Children's Hospital yesterday for her follow up appointment after surgery. Dr. Koltai said Tynlee looks great and we don't need to go back! She weighed 7 lbs 5 oz and 19.5 inches long! That's 2 lbs more than her birth weight EXACTLY and 1.5 inches longer!! She sure is growing!! 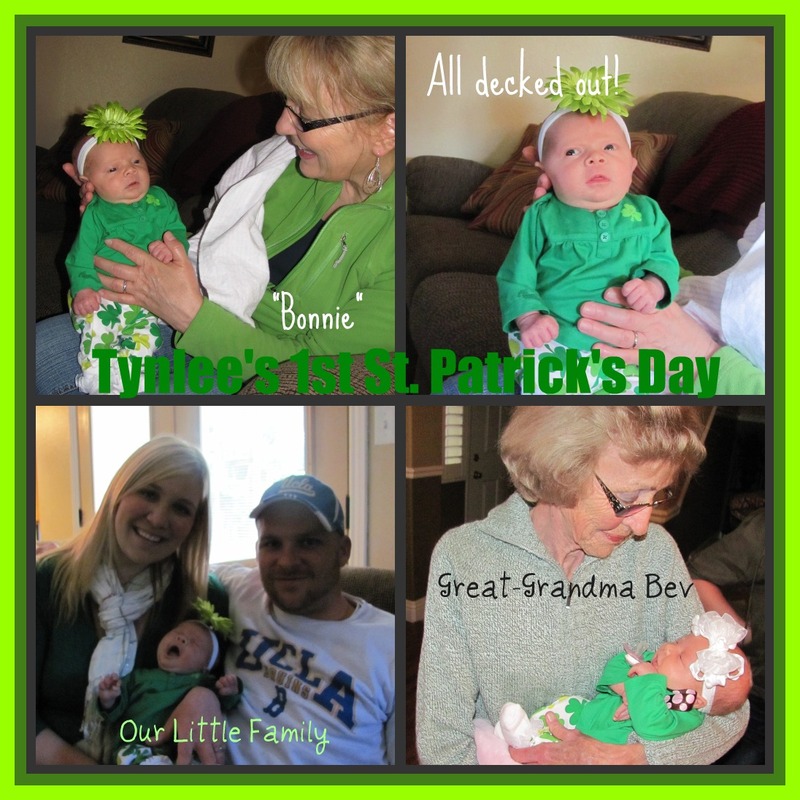 Tynlee was all decked out sporting her St. Patty's Day apparel yesterday! I really didn't want her to get pinched! It was cousin Logan's 7th Birthday yesterday so last night we went over there and had dessert! We had a great day!! Yesterday, me and my wonderful friend Megan(who was due one day before me, and is still pregnant) went to get Tynlee's pictures taken by another ADORABLE pregnant girl, Kyley Gray. Kyley's photography is beyond beautiful! She really does a great job! I can't wait to use her again in the future! Tynlee's annoucements will be out soon! I can't wait for everyone to see them!! :) Prettiest girl in the world! *Bath time, she just "coo's and sighs"
*Her beautiful heart shaped lips that I just kiss and kiss all day! I envisioned in my mind what being a mommy would be like. But it was nothing like I expected. Seriously, it's so much better! I never thought waking up every 1.5-2 hours every night to nurse would make me so happy. Hearing her cry then stop as soon as I pick up is the sweetest thing ever. She brings me so much joy! I never thought I could love something besides my husband this much, but she came into our lives and opened a new part of my heart I never knew was possible. 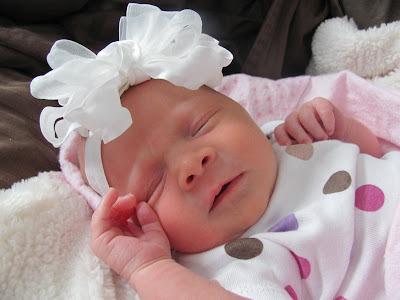 I've waited so long for Tynlee, and she is perfection to me. She is the most beautiful thing I've ever seen! I can't believe she's already 2 weeks old. Time needs to slow down. I am enjoying every single moment with her. I don't ever want to put her down. She is my little love bug! She's makes the cutest beyond cutest little noises. She sounds like a little lamb! I love it! Her hands are what amaze me the most, they never stop moving, always up by her face. She has gorgeous, long, piano fingers! YAY!!! 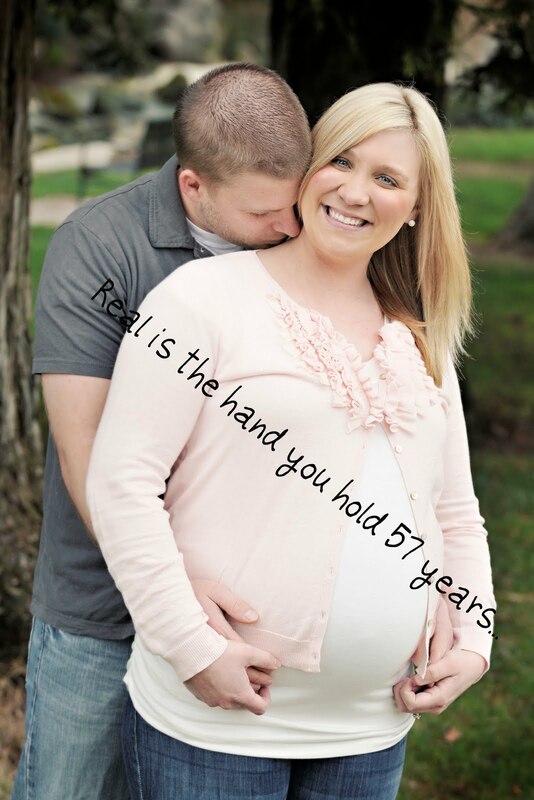 I guess her hands are her "specialty" because they were in fact the first thing to come out of my birth canal which signaled, emergency c-section! I just sit and stare at her in complete "awe" all day. Watching her and Stephen together just melts my heart. We are so in love. Thank you Jesus for our beautiful daughter!!! I was 35 weeks 5 days on Wednesday, February 16th, when I got admitted to Doctor’s Medical Center, anti-partum floor. Wednesday started out like just another day, on bed rest J This was my 2nd week on bed rest and I still was feeling crummy. The headache I constantly had seemed to have gotten worse that day. By 3pm, I could barely see straight. The blurred vision had overtaken me and the uppergasteric pain was coming on. I took my blood pressure at home, like I’d been doing for 2 weeks, and it was rather high. I layed down for 30 more minutes, took it again, and high. For being on bed rest, it was way too high. I did what I was told to do and called my doctor, of course, she said “Go right in to hospital”. 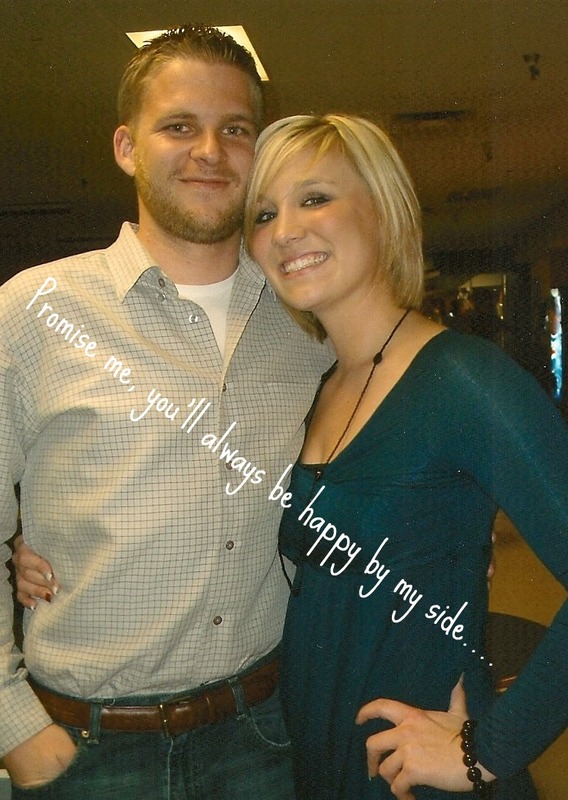 Stephen and I both felt like we lived at the hospital lately with the condition I have, preeclampsia. Between the high blood pressure and low platelets, we were there a lot. We didn’t want to go, thinking they will just observe me, and send me home in a few hours. So we dragged it out at home and went in 2 hours later. Hospital bag in hand as well as Tynlee’s bag just to be prepared. I got there and got hooked up to monitors in Labor and Delivery. My blood pressure was still high, not wanting to budge. My midwife came in and suggested that they once again, keep me over night for observation. So up to anti-partum we went. They did more blood work to check platelets and had me on a 24 hour urine, once again to check how much protein I was spilling out. I was only allowed to get out of bed to go potty, I couldn’t even shower. :/ And let me tell you, brushing your teeth in bed is a difficult task! Lol. My wonderful mother, who works on this floor but on the other side in post-partum, worked a deal and got us a private room so Stephen was able to stay with me. Poor Stephen was fighting a bad cold and barely had a voice. He took a sleeping pill and slept great! I was up a lot of the night, worrying. Typical right. I was nervous for myself, thinking this is only getting worse and my baby is at risk as well. What if I die and Stephen raises her alone. What if I have a seizure and my baby girl doesn’t make it? So many horrible thoughts ran through my head. 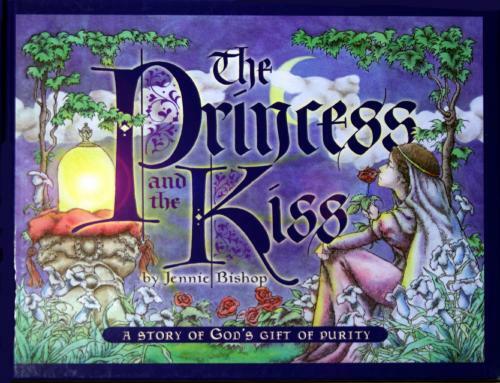 As I layed there in silence, hearing my husband snore, I began to pray. I heard the Lord say, “Be anxious for nothing but in everything, in prayer and supplication make your requests be made known to God.” Tears began to roll down my face. How silly of me to worry about these things. God is in CONTROL. He brought us THIS far! We are so close. We will get the victory in this! About that time, my mom came in about 3am to spend her lunch hour with me. What a joy it was to sit there with her and share arum sandwiches with her J How comforting she was to me. I realized through all of this, how much I really do NEED my mom and how special she truly is to me. I was able to sleep a few hours after that. Thursday morning, my doctor came in and my midwife, and they were still concerned with laying in bed all night why my pressures were still way too high. Blood work came back and platelets continued to drop. Another night of “observation” was in my future. The nurse came in and said doctor wants me to go ahead and get a hep-block just incase I need emergency medication with the high blood pressure. I got pocked a total of 17 times in 6 days. Which included, hep block, platelet count, magnesium check, blood type, Rhogam shot, Spinal, etc. My arms and hands, bottom and back were pretty bruised. I began to not feel the tiny “bee stings” after the 10th time of being pocked. I mean, I felt like a blood donor throughout my whole pregnancy anyways! Stephen decided to go to work for a few hours on Thursday which was good, he didn’t to breath and get out of the hospital. I had wonderful visitors come and give me encouragement. My sister and Brody brought me and Stephen, a UCLA cheerleading uniform for Tynlee, which stayed hung up in each room I went to ;) two DS’s, portable DVD player with movies like the Office and Annie. LOTS and lots of candy, including CADBURY eggs, my favorite!!!! Card games and so much more! My sister truly went above and beyond in making me comfortable. I have the best! Other visitors that day included, my wonderful daddy, my father in law, my uncle/pastor Rick, my mom of course, and the best visitor, my husband. Thursday seemed to drag on, not knowing what would happen the next day. Either be sent home on BP meds or be induced. Stephen and I talked and talked about our options and both felt induction in this situation was necessary since things weren’t getting better for me and doctor’s said Tynlee will be fine being born at 36 weeks. We prayed and prayed and felt peace about talking this over with our doctor. Well we didn’t have to even tell him, Friday morning, 8am rolled around, I was eating breakfast, when Dr. Clare came in and said my platelets had dropped to 83 and my blood pressure was getting higher. The only good news was no protein in my 24 hour urine so it meant my kidneys were functioning well. He said it’s best we induce you today. With some relief, Stephen, my mom, and I agreed. I was excited but nervous with so many emotions. Around 11am Friday morning, they wheeled me down in a wheel chair back to Labor and Delivery. I got in the room and there were 2 nurses scrambling around getting my bed ready, all the Ivs I needed, monitors, etc. As I sat in the wheel chair, and overwhelming feeling came over me. I began to feel white as a sheet, short of breath, like I was going to pass out. Never felt like that before. And as they took my BP, it was 70 over 35 :/ SUPER high to SUPER low? They layed me down and told me to take a few deep breaths and close my eyes. I could see the look in my husband’s face, he was scared. This was only the beginning of the “scares”. They hooked me up to regular fluids, magnesium sulfate(for the high blood pressure, causes you not to have a seizure, but the side effects are absolutely horrible, I had never felt so terrible, my face was on fire, I felt nauseous, shortness of breath, and totally dizzy.) They hooked me up to a catheter. Which was beyond the worse thing they hooked me up to. It meant I had to stay in bed and labor, which was totally against my Bradley birth plan. I was already getting induced which I didn’t want to do, then this! Seriously! They don’t let you walk on magnesium because it’s a muscle relaxer so the cathetor was the only way to go. I struggle with UTI’s very frequently and this felt like the worse one ever. Midwife came in and started the induction with a tiny little pill called CITOTECH. She placed it on my cervix. I was currently 75% effaced and about 1 cm dialted at the start of induction. Hours past and cervix was getting softer but no more dialation. They came in 4 hours later and did it once again. Around 8pm, midwife tried the CERVIDILL, which is also inserted by cervix to ripen things. 11pm came, and I was exhausted. Had a few minor contractions here and there but nothing I had to breathe through. They kept asking me, do you want a sleeping pill. I kept saying no because what if I went into labor? Laboring super drugged up already on the magnesium, then a sleeping pill, staying in bed, and a pushing with a catheter, no thank you!!! I tossed and turned all night. Mom was there with her Pandora music playing for me and Stephen was able to catch a few hours of sleep! I begged my night nurse to allow we go sit on the bedside comode to get some relief from the catheter pushing on me all night. So several times, Saturday early morning, I spent on the comode. J It was the only relief I got. Finally, around 5am, I asked for the Benedryl to catch a few winks. Within 15 minutes, I was knocked out and got 2 hours of sleep all night. I woke up around 7:30am, and felt a little refreshed but was definitely ready to get things rolling, I didn’t want to go through last night again! I had the BEST nurse on Saturday morning. It was truly a blessing to have her that day. She did everything to make me comfortable, always encouraging me and assuring me I was doing a good job. I couldn’t have asked for a better nurse that day. She stood with us through every situation, never leaving my husband’s side. Doctor’s decided to start Pitocin. It seemed to work pretty well, they cranked it up every 30 minutes. I was having contractions throughout the day. Around ten minute spans on 2-3 minutes apart, then they would be 8-10 minutes apart. Again, things were progressing slowely. Tynlee was doing great though, her heart rate was steady and she seemed to be enjoying all of this J That was the good thing about this situation, baby was great! I got checked by my midwife around 4pm and there was no change in dialation, STILL, besides being 100% effaced. I seriously wanted to cry. She gave me options, 1) let’s just shut everything off, give your body a rest and start again tomorrow. 2) crank up pitocin and keep praying things happen. Well, I didn’t want to stop things because it just meant another night, glued to bed. So I said crank it up and let’s hope and pray things happen soon! She of course, willingly agreed. She wasn’t out of the room 2 minutes and all the sudden a huge gush! Uh guys, I think my water just broke. It wouldn’t stop coming out. We all began to laugh and smile because this was a GREAT sign. The only thing natural about my birth story, my water broke on it’s own! YAY!!!!!!!!!! 30 seconds later, I had the worse contraction I’d felt yet! Wow, so this is what they feel like! I remembered my Bradley class, needing to relax and not tense up. 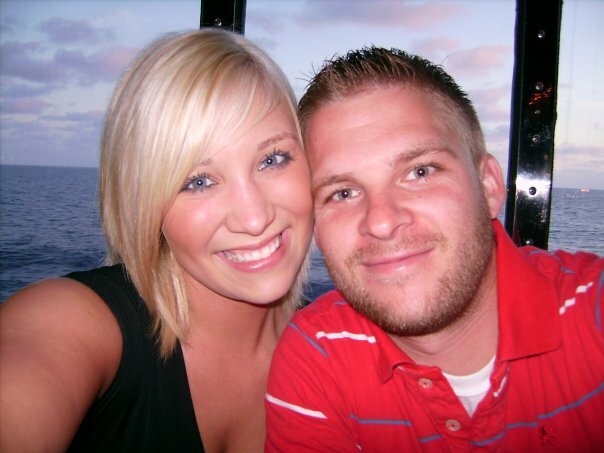 My husband was the BEST coach I could have ever imagined! He really did pay attention in class! He was perfect!!!!!! He reminded me to relax, held my hands, got in my face and breathed with me, told me how good I was doing, rubbed my back, my hands, etc. And my wonderful mom massaged my feet and my mother in law constantly putting cold wash cloths on my face because I was on fire from the magnesium. Every 1-2 minutes the contractions came, stronger and stronger. My wonderful nurse and midwife allowed me to sit on the bedside comode and labor cuz sitting in bed was not cutting it for me. With Stephen in front of me, leaning on him, and mom behind me, I felt like each contraction got more and more painful but CLOSER to meeting my girl. Looking into my husband’s eye’s during each contraction was so comforting to me. As I sat there, I was getting very nauseous, I threw up a few times, who knows why! My nurse asked me if I wanted to be checked and I really wanted to have as less intervention down there as possible so I said no. But she felt like it was best so I got back in bed and she checked me. Oh goody your at a 3 but wait, “I think she’s trying to hold my hand”. WHAT!!! I thought. No way!!! That’s good right? I can push? Cuz I felt like I needed to! Let me call in another nurse, she said. The charge came in a checked and said Tynlee’s arm was out and her other hand. My mom, Stephen and Karen all had a look on their faces. I didn’t know what was going on. I was excited cuz that meant she was coming soon! But no, I was wrong. Doctor came right in and said c-section, emergency. I was signing papers left and right, Stephen was changing, anistetheiologist was in there talking to me saying your platelets are now 102, so I can do a spinal, you won’t be knocked out. They have to be above 100. We barely made the cut. God’s hand was in this situation, only 2 points above. WOW! They began wheeling me down to surgery room and contractions got more and more intense every 30 seconds. I was alone. Without my husband, mom and mother in law, just nurses I didn’t know. I felt like I couldn’t bare the pain anymore. I was nervous. I really didn’t want a c section. I was scared. But as I sat there in the operating room, by myself, besides nurses and doctors running around the room, I thought, I am not going to see my baby, I was so nervous that spinal would cause bleeding since it was only 2 points above 100. I was nervous for Tynlee, my family waiting in the waiting room. I closed my eyes and heard the Lord say, “Do not be afraid for I am your God.” As I was laying on my side getting the spinal, and just trying to breath through the contractions and trying to sit still so she could place it correctly, I got pocked 3 times. I instantly felt tingling all throughout my body, no more contraction pain. No feeling anywhere. Literally, I was numb to my nose. I had an oxygen mask on, a sheet right over my nose, my hands and legs were strapped down to tiny little bed and I felt like I couldn’t breath. I couldn’t even talk. I kept trying to tell the anesthesiologist, I can’t talk, I can’t talk but she said relax your vitals are good. I was just really numb. I felt so out of it. I rememeber seeing Dr. Clare walk up and then Stephen sat down next to me and was rubbing my head, telling me we are going to meet Tynlee so soon baby! He looked nervous but he was my strength. I didn’t feel anything, no tugging, no pulling, no pain what so ever. It seemed like 5 minutes but it was really over and hour and 20 minutes until I was in recovery room. I hardly remember anything. I rememeber hearing Tynlee let out a small cry but I felt nothing. It was so scary. I felt out of my body. I asked Stephen, is she okay, is she okay? And he said she’s fine honey. I said where is she? Please let me see her! And about that time, Stephen left. I was sitting there once again, all alone. Not knowing what was going on. But unable to feel emotions cuz I was so drugged on everything. As I layed there, still without seeing my daughter, Dr. Clare came up to me and said, we are all finished, everything is great, your daughter is beautiful but she does have something coming out of her mouth but she is okay, breathing great, etc. Once again, I started to cry, seriously!!!! Why is this all happening!!!!!! I was pretty prepared to hear that though, because I remember at her 32 week 3D sono, I saw something on her mouth and began researching but I thought it was something totally different. 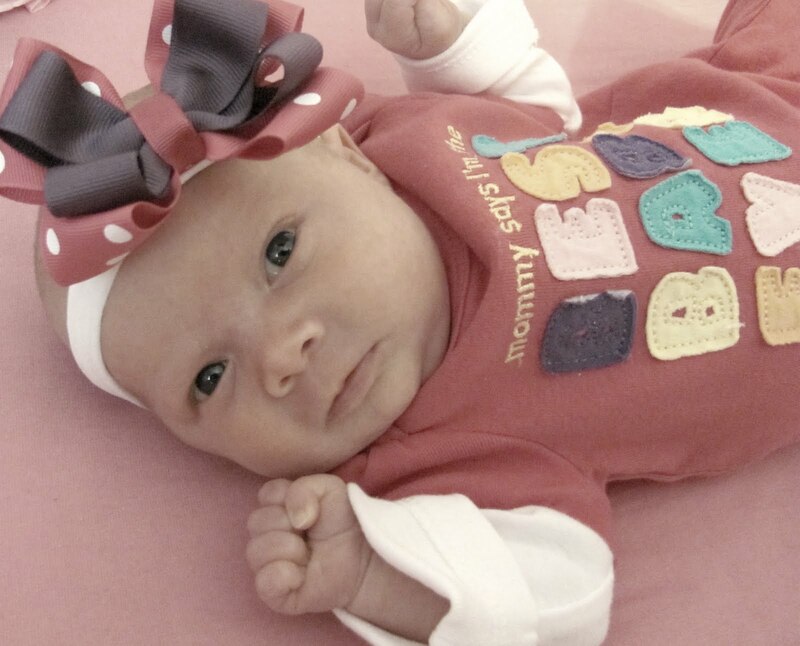 On Stephen’s side, he said Tynlee was tossed right from belly straight to NiCu. He walked into the NiCu room and saw our baby kicking and squirming around and crying. He didn’t know what to think about it. He didn’t know if it was an organ or what. But she was great besides the mass coming out of her mouth. Doctors had never seen this before probably because there’s only 127 cases of this each year WORLD wide! The NiCu man took a guess and said Congenital Epulis. Stephen went into waiting room and got Karen and my mom and explained to them, Jessie is fine and Tynlee is fine but Tynlee has something coming out of her mouth and needs to go to Stanford ASAP. My mom broke down but Stephen told her, she needs to be strong for me. And she was! I got wheeled into recovery and my husband, mom and dad met me in there. I could tell tears had been rolling down there faces but they assured me Tynlee was so beautiful and healthy! Stephen explained to me how she needed to go to Stanford for surgery tonight. 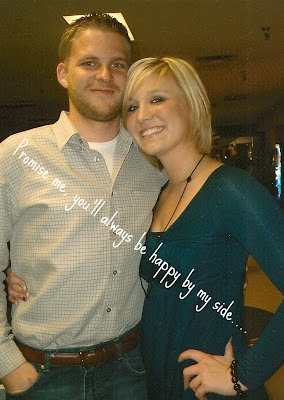 He asked me if I wanted him to go with her or stay with me and I knew he needed to be with her! His parents and him decided to go with her. They got me to my post-partum room an hour later. But on my way, I was wheeled to the NiCu to see my baby girl. There she was. Beautiful, eyes wide open, kicking around. They let me hold her and it was the most amazing thing EVER! I didn’t care that she has something coming out of her mouth, she was still the most beautiful thing I had ever seen!!!!!!!!!!! She looked at me with those beautiful blue eyes and right then and there, I knew God’s hand was in every single trial we faced that day! From getting induced early, to my walking breaking, to Tynlee’s arms/hands coming out, to having a c section. Having a vaginal delivery could have busted the mass and caused major bleeding. Waiting to deliver till term, it would have grown more cuz these grow with babies. It could have began to grow inward instead of outside and probably obstructed her breathing. So it was a blessing, I delivered when I did and had a c section. The Lord’s hand was with us every single step of the way. Our faith was tested, but our trust in the Lord only grew stronger through all of this. 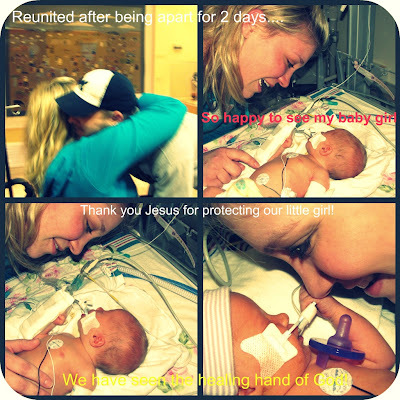 Giving Tynlee back to the nurses was the hardest thing I ever did. I just had my beautiful daughter 1 hour ago, and she has to leave me. And not only that, by my husband had to leave too. God’s peace overtook me. He brought us this far, he will only deliver us!!!!!!!!!!!!!!! It was time to put my faith in action and truly show I trusted Him! I got into my post partum room and had family in there to meet me. Everyone showed me so much love. They brought Tynlee back in one more time before leaving. The Stanford transport guys explained everything to us. They brought Tynlee into my room in a huge adult size gurney but in a tiny baby incubator. She had so many cords on her. But she still looked at me with those eyes and I immediately fell head over heels for this baby. It was time. Time to say goodbye for a few days. Stephen and I hugged and cried and prayed. As I watched them leave, the Lord spoke to me once again, “Be still and know that I am God.” My family was so strong, so encouraging and so loving. I couldn’t have asked for a better family. Every single person showed me what family was all about. Facing this trial together only has brought us closer. Stephen texted me around 3:30am and said he was with Tynlee and everything is going great. I was able to sleep a few hours and woke up thinking surgery would be Sunday morning. But Sunday passed and no surgery. I asked Stephen to send pictures all day. Even though they all looked the same, It was the closest I could get to being there. I was so motivated to leave Doctor’s Hospital that I got up and pushed my self to walk. I prayed and prayed for God’s healing ASAP and honestly, I couldn’t have felt better faster! I recovered soooo fast! We found out Tynlee’s surgery would be Monday between 10 and 2. I knew I wouldn’t be there in time. My poor baby would be put completely under and mommy wasn’t going to be there. I felt like a terrible mom. But there was nothing I could do but pray. Tynlee went in for surgery at 5pm and I was all alone in my hospital room for the first time, since my wonderful mom and sister never left my side. I sat on the edge of my hospital bed and cried. Wept! Balled my eyes out. This whole time with Tynlee as Stanford, I knew Stephen was with her, never leaving her side, getting there at 7:30am and staying till 3am every single day. 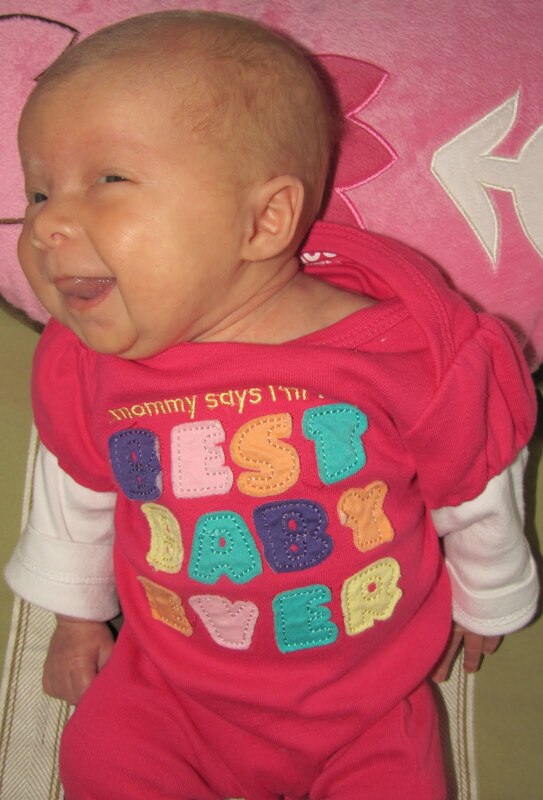 But now, she would be without daddy, in the hands of doctors but ultimately in my Saviors hands. As I sat there and prayed for over 30 minutes, I got a call saying surgery was a success. It was faster than we thought and daddy was once again by my daughter’s side. She had a breathing tube but other than that, her mouth looked completely normal! PRAISE GOD!!! Mom got back to hospital after going and buying me a few comfy outfits to wear at Stanford. My brother Michael was going to drive us to Stanford. I was released at 6pm. We got to my parents house and was greeted by my nephews, sister and brother in law. My sister had got Tynlee some preemie outfits, got me donuts, and some other things I needed. We left my mom’s house and got to Stanford as quickly as possible. As my parents wheeled me in a wheelchair to the 2nd floor at Stanford Children’s Hospital I couldn’t stop smiling. 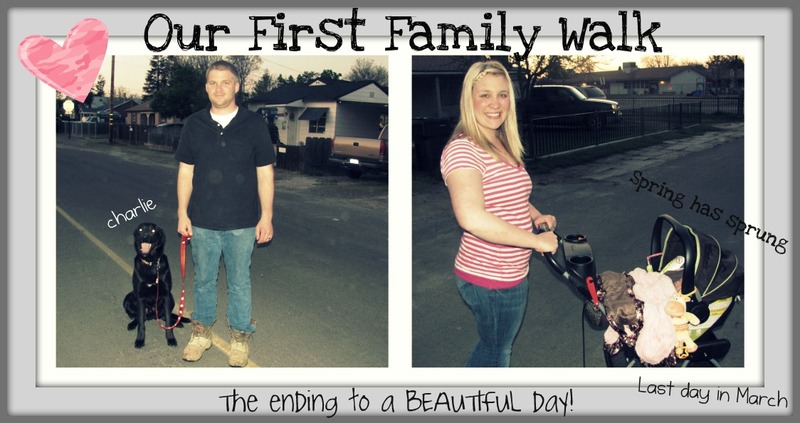 I would finally be with my husband and baby as a family on 3!!!!!!! The elevator opened and there my handsome husband stood. I began to cry as I held him for a few minutes! He brought me to our daughter’s side. And as she laid there still out of it, I couldn’t stop thanking the Lord. I held her and kissed on her. And couldn’t stop!!! I realized how much love I had for this sweet baby but realized God loves her so much more and she was a special gift from HIM!!! Through all of this, I realized God truly is in control. 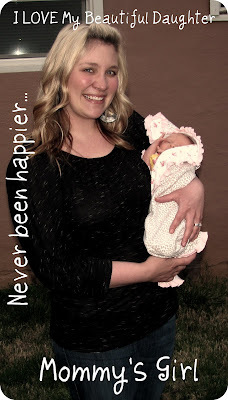 Even though I had the “perfect birth plan”, no drugs, no IV, etc. God is the one who decides. My birth plan couldn’t have gone more wrong but then again so perfect. God had his hand in everything! Everything! It amazes me! We stayed at hospital by our daughter’s side till 2:30am. My father in law came to pick us up to drive to the hotel which was about 2 miles away. Laying in bed with my husband FINALLY, was the best. Especially since we had a huge victory!!! The next morning, we got to hospital at 7:30 and went straight to our daughter’s side. 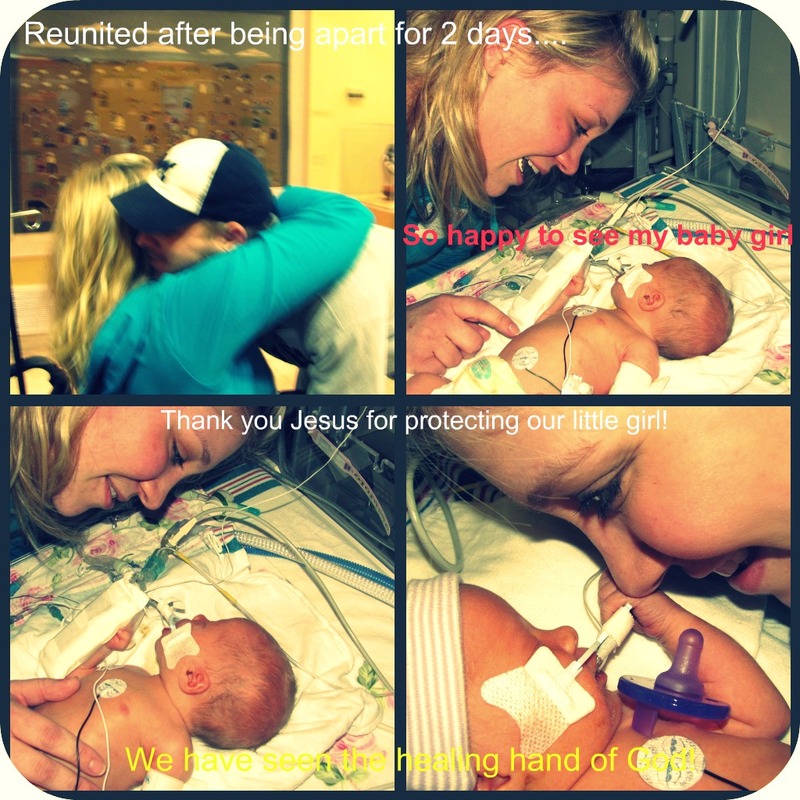 She still had in the breathing tube but was breathing 100% on her own! They took tube out around 11am and I was able to do skin to skin and hold her for the first time! Most amazing feeling ever!!!!!!!!!!!!!!!!!! Even though she had a million cords on her, I felt like I was in Heaven. 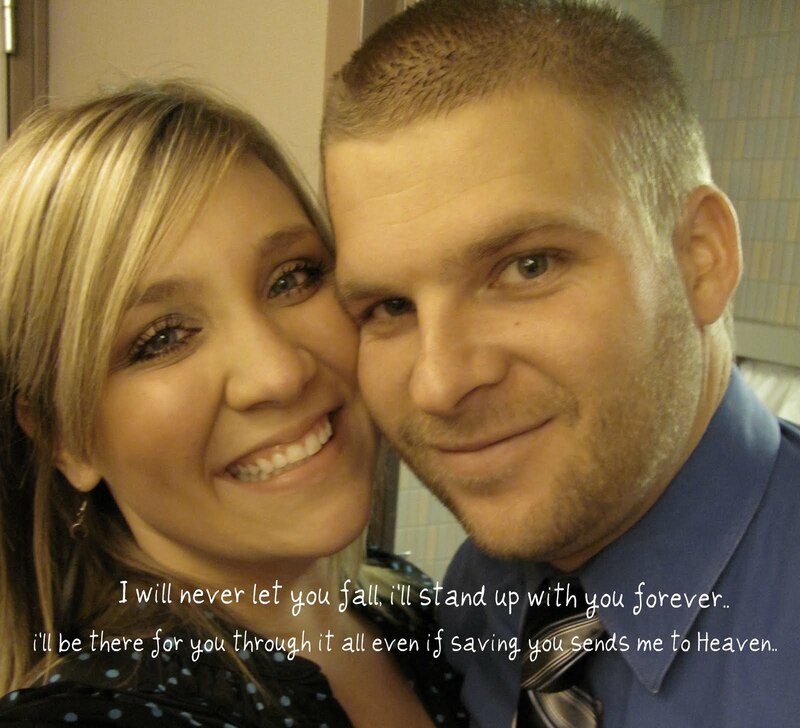 Seeing my husband smile, took my breath away. I was glad him and Tynlee got to spend so much Daddy and daughter time together. Seeing him go through all of this, turn from just a husband to a daddy and a husband has made me love him even more. He is the best dad! Watching him with Tynlee only brings tears to my eyes. I got to nurse her for the first time in 3 days! Tuesday passed after lots of visits from Grammy & Papa, Papa & Bonnie, and Mommy & daddy J Everything was looking great for Tynlee except some jaundice which was expected. They weren’t sure if she would need the light or not. But Wednesday came around and they decided to release us around 3pm. After a 2 hour carseat test, hearing test, and lots and lots of signed papers. We will be going back for a follow up appointment with Doctor Koltai at Stanford in a few weeks. We have already been to our pediatrician and things are looking great. Our little girl is healthy and vibrant and beautiful. This is such a rare thing that happened to Tynlee, nothing could have prevented it, never showed up on regular ultrasounds and starts growing in the 3rd trimester and grows with baby. It grew from her top gum, not even messing my her lip! She didn’t even need a stitch. They took off the big one from top and smaller one on bottom. The chances of it coming back are slim to none. She shouldn’t have any problems with anything like this ever again! 8 to 1 times it’s found in baby girls. But we made it! With God’s hand! OUR GOD REIGNS!!!!!!!!!!!! Praise God! We are truly blessed!! !